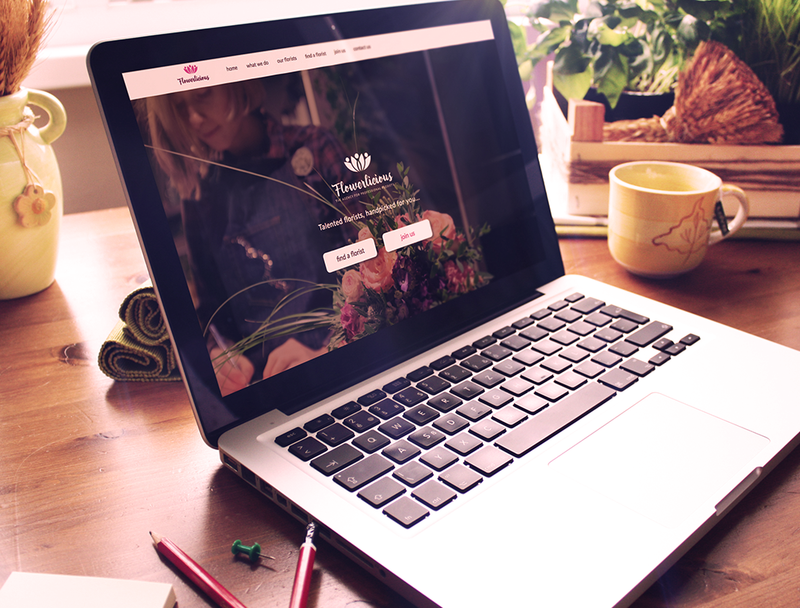 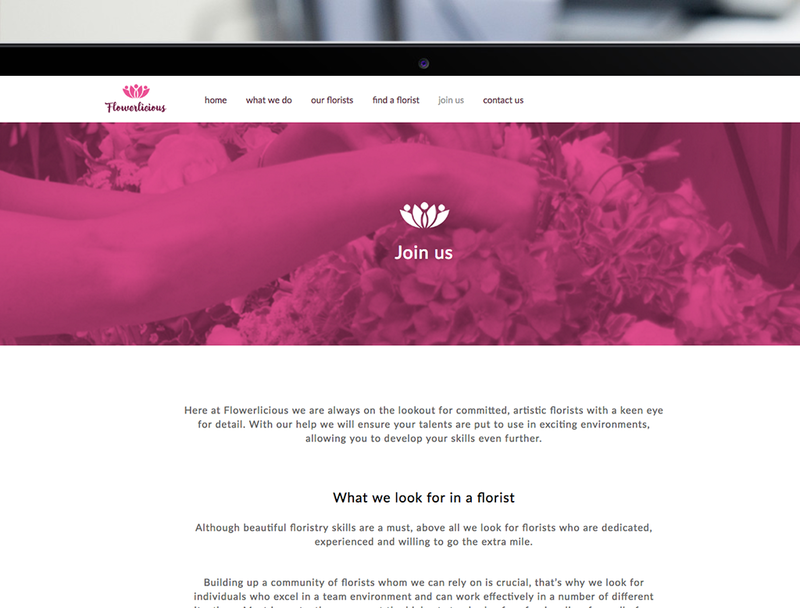 Start up florist agency Flowerlicious required a simple but visually appealing website to entice freelancers to sign up to their service. 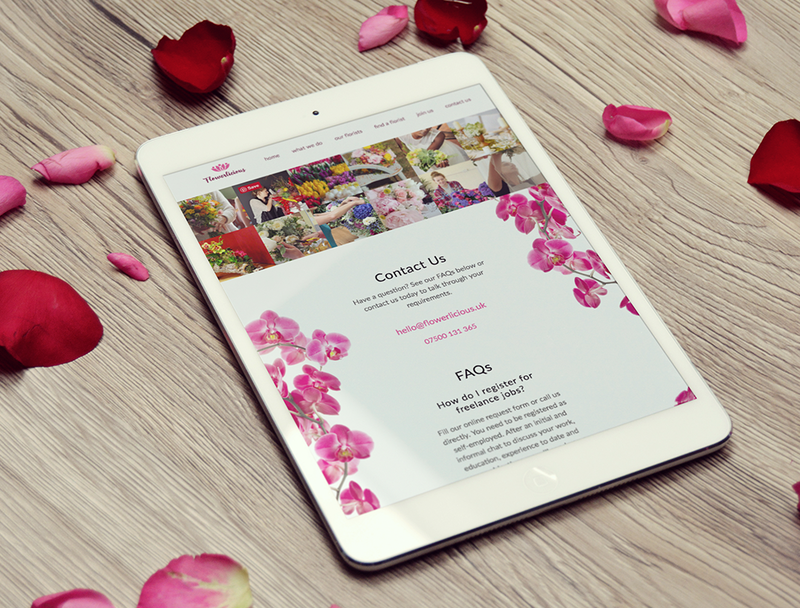 The creative result was a scrolling website featuring bold, bright imagery, clear calls to action and a personal sign off from agency owner Kenza. 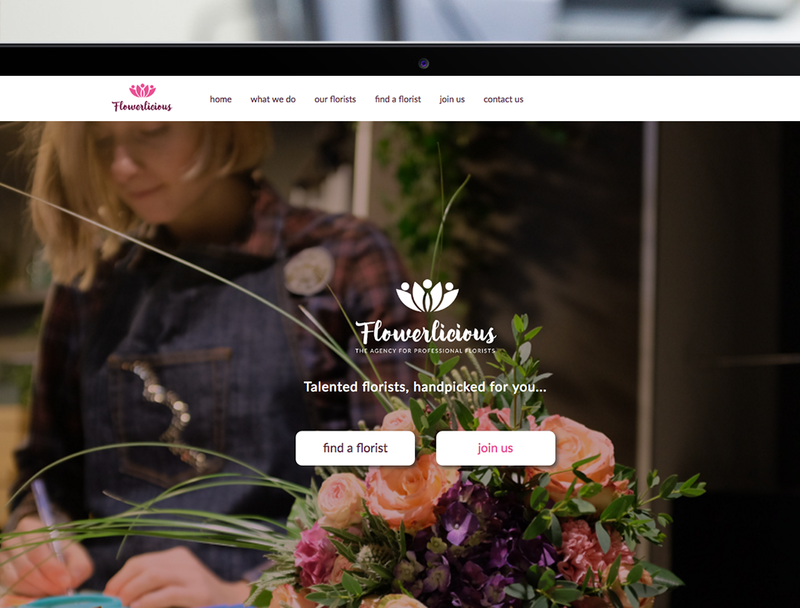 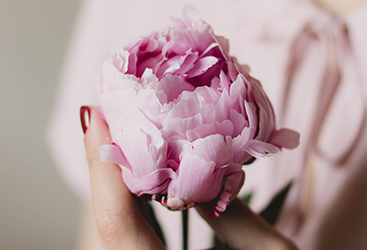 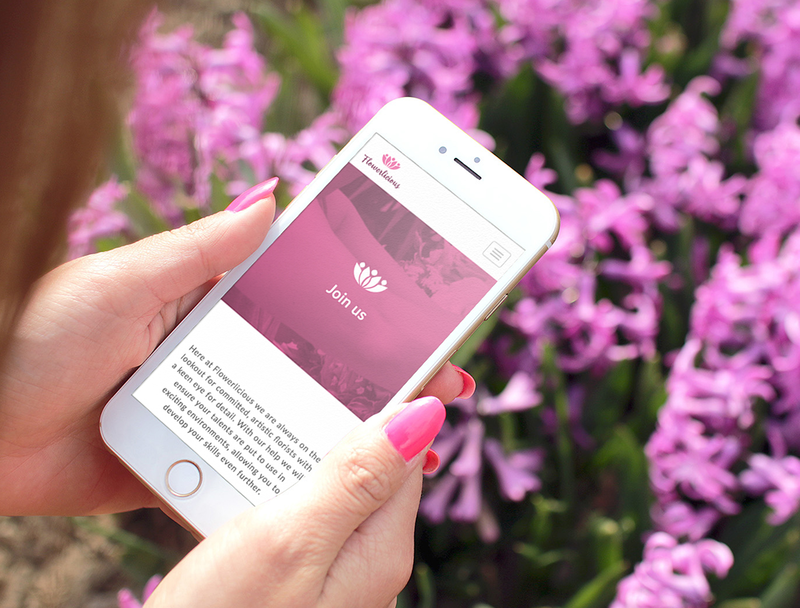 Using anchors to push the user down the page to their required content allows for an enhanced user experience, this paired with a fully responsive design means the potential candidates and clients can contact Flowerlicious with minimum effort.
" 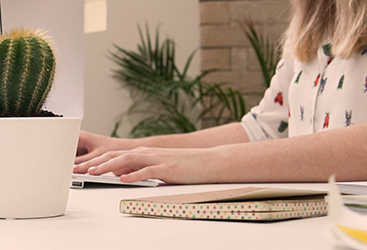 Monitor Creative are brilliant. 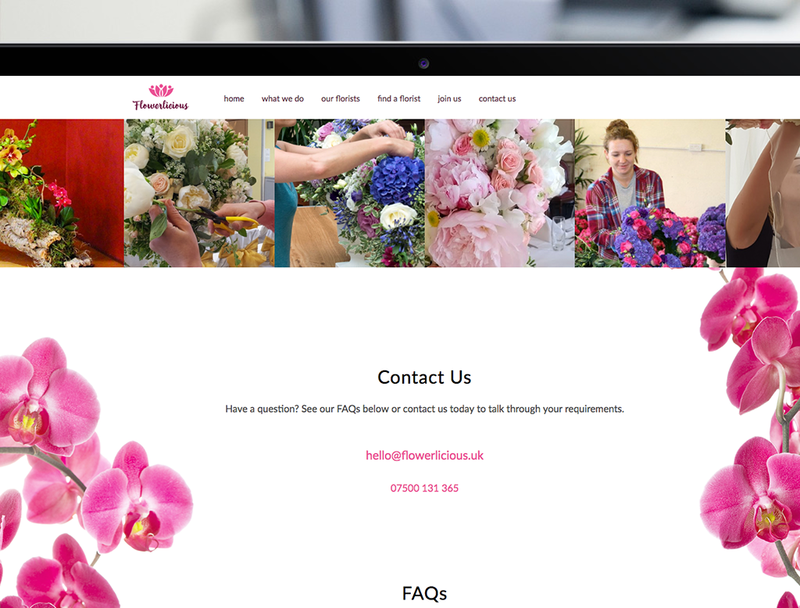 From the first meeting to the creation of our logo and launch of our web page, they were attentive and intuitive: they heard our requirements and executed them with minimal fuss. 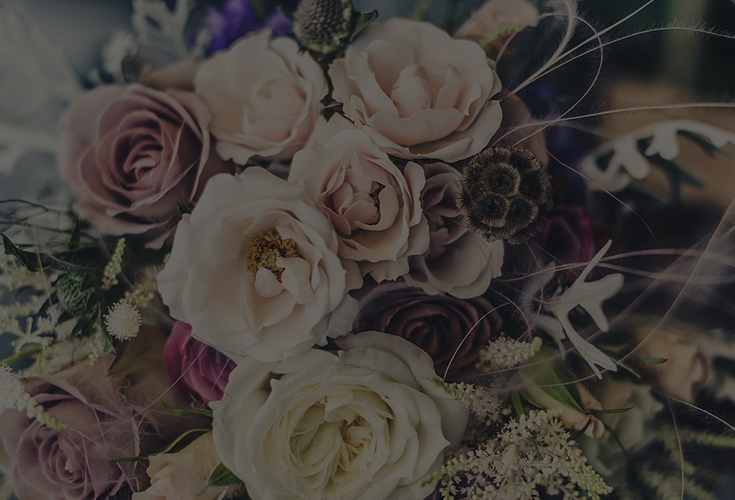 They required no interim meetings – they just got on with the job and then produced exactly to the spec from our first meeting. 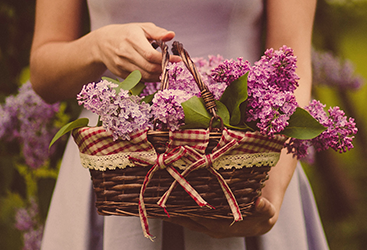 We’ll use them again and again."